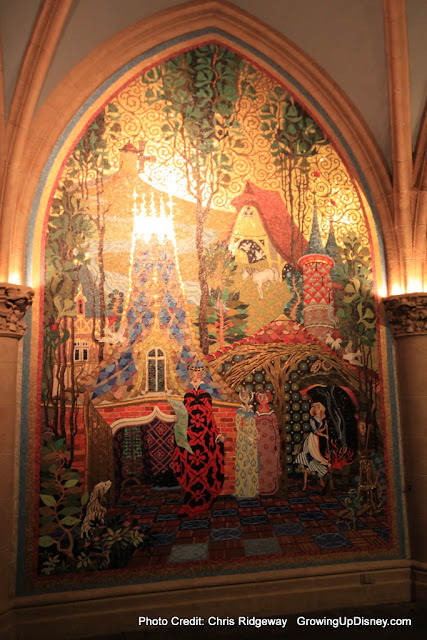 The next time you are at Walt Disney World's Magic Kingdom, take a look at the beautiful murals in the castle. Look carefully at the stepsisters and you'll see that one is red with rage and the other is green with envy. Their expressions are too funny! I never knew that - we will have to check it out on our next trip! That picture is GREAT! I've never seen them out except in a parade! We had dinner at 1900 Park Fare our first night on our very first trip to WDW and it was the best experience! Those step-sisters are absolutely hysterical!